At LaFlora.com, we always guarantee your complete satisfaction whether you choose to have your flowers delivered within the Czech Republic or to any of the countries we send flowers to. When delivery has been completed, we will email you so you know that your flowers have been delivered. We will also invite you to share your experience with others on social media. How to order your Flowers & Gifts? Step 1. - Select your delivery destination or Country. Step 4. - You are now in the checkout process. Please check that your shopping basket has the flowers and gifts you have selected and the delivery destination is correct. Step 5. - Select your preferred delivery date and time. Please note that all times are local. Step 6. - Complete the delivery details, card message and any additional informations you would like to tell us about the order. Any information marked with an asterix must be completed. Step 7. - Select your preferred payment mathod. We accept major Credit Cards and PayPal. Step 8. - Once you complete your payment, you will receive an Order Summary and a receipt for your payment. Step 9. - When we have completed the delivery of your order, we will notify you that you gift was delivered. Feel free to contact us directly and place your order over the phone. 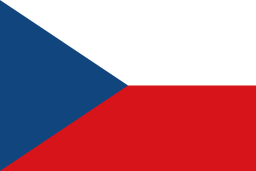 We offer same-day deliveries anywhere in the Czech Republic on all orders received by 4pm. Orders must be received no later that 4pm on Friday or the last Business Day prior to the Bank Holiday for Weekend and Bank Holiday deliveries. Orders must be received by 12pm for next-day deliveries. We offer same-day deliveries to selected countries, so feel free to contact us with any special requests. We do not offer International Deliveries on Sundays.